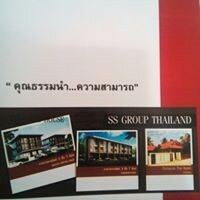 Sale Land khao pratumnak Pattaya, Chon Buri. land 1,808 square meters? Land for sale in Pattaya, Land for sale in Pattaya, Chonburi.. Sale Land khao pratumnak Pattaya, Chon Buri. The estate - Soi 1 Kasetsin Details / Detail - land 1,808 square meters? - Suitable for a condominium, hotel, land a hill, overlooking the sea. - Seaview near Beach 180 M. price - 5,486,720.95 USD GPS. 12.920135, 100.864385 Contact Sales Contact : English +6691-7758095 Em / +6686250541 max Contact: thai Mam / Mam: 0 86 324 5024 LINE ID: mam_nat. Nat / Nat: 0 81 353 9675.?